Sell To Us.We buy antique snooker tables and antique furniture | Browns Antiques Billiards and Interiors. 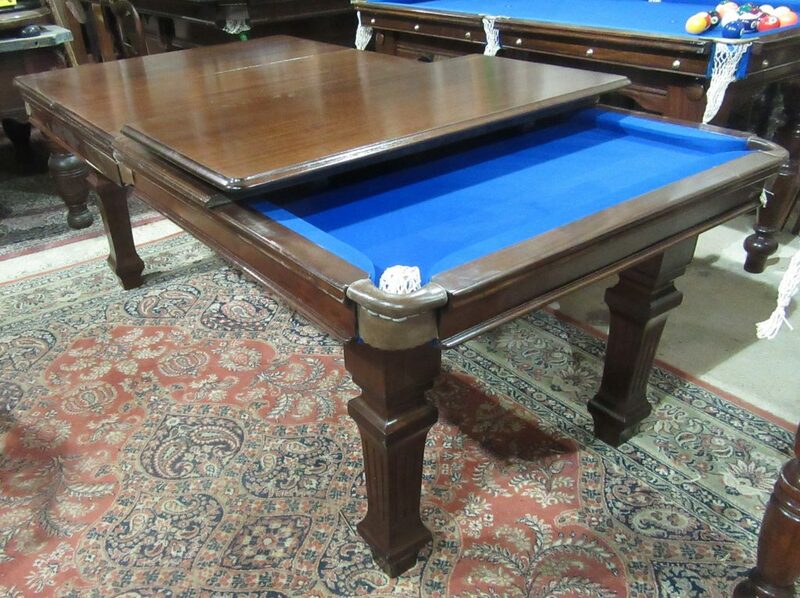 Do you own an antique snooker table that you no longer have room for? We buy antique snooker tables, snooker dining tables, antique billiards tables and accessories. We are not currently buying general antique furniture. Full size snooker tables: We are not buying these due to a lack of demand. If you have a full size snooker table that you want removed for free, we may be able to do this if we happen to be in your area. Please email. Sell your snooker table to us. Antique convertible snooker dining table. We will then get back to you and let you know whether we are interested. Thank you. Please allow up to a week for a response, as we receive a large number of these requests every day. For the same reason, please do not telephone regarding items you wish to sell. An email is our preferred method. Many thanks. Please be aware that we can only keep a certain number of items in stock, and are therefore unable to purchase every item offered to us! Due to the huge number of requests we receive each week, we are unable to provide general valuations and guide prices for your own use. Thank you for your understanding.